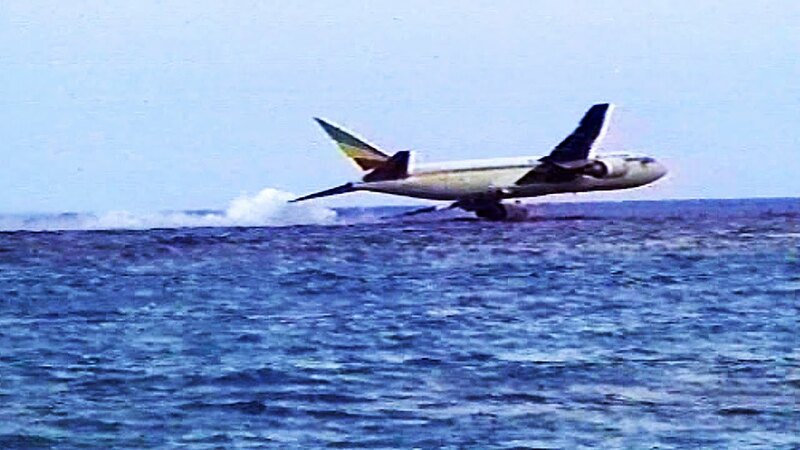 Two pilots have narrowly escaped dying in a really horrific manner after their plane crashed inside the sea. According to a report by CBS News, a U.S. Navy fighter jet operating off the aircraft career USS Ronald Reagan crashed into the sea northeast of the Philippines Monday but both of its pilots ejected, were rescued and were in good condition, the 7th Fleet said in a statement. It said the F/A-18 Hornet had a mechanical problem during routine operations in the Philippine Sea. The Navy said the pilots were immediately plucked from the water by rescue aircraft from the Ronald Reagan brought back to the carrier. It was the second crash involving USS Ronald Reagan in less than a month. In mid-October, a MH-60 Seahawk crashed shortly after takeoff, causing non-fatal injuries to a dozen sailors.